Sultan Muhammed Shah Aga Khan III had built the Aga Khan Palace in the year 1892. Keeping up with the latest on the monuments and archaeological sites bill, it is learnt that the proposal to bring about amendments in the bill have been put forth. According to the amendment, the 100-metre restriction to dissuade any kind of infrastructure work around the heritage sites will be removed. 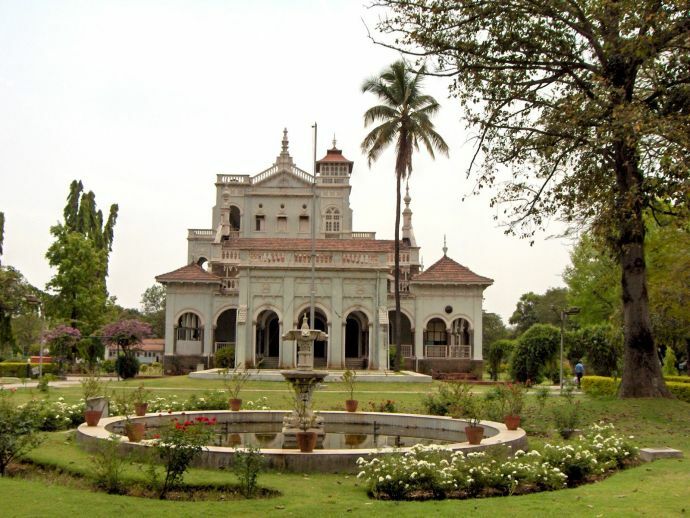 In an original report carried by News18, Pune’s Aga Khan Palace will one of the prominent structures which be under threat if the amendment is given a nod. Keeping this in mind, the National Monuments Authority had scrapped Maharashtra Metro Rail Corporation's plea of laying down the rail alignment near the Aga Khan Place, in September. In the year 2016, the Bombay High Court had stated that no metro project should carry on with their work around the heritage sites without the approval of NMA. Sultan Muhammed Shah Aga Khan III had built the Aga Khan Palace in the year 1892. The monument stood tall in the country’s freedom struggle and even housed Mahatma Gandhi and his wife Kasturba during the Quit India Movement. Kasturba Gandhi spent her final moments in the monument. The Rajya Sabha Select Committee which has been set up with respect to Ancient Monuments and Archaeological Sites and Remains (Amendment) Bill, 2018 is presently carrying out extensive study visits, holding meetings and consultation sessions and calling experts to express their views on the bill. The select committee was to meet on December 5 in order to hold wider consultations. BJP MP Vinay Sahasrabuddhe, who headed the committee of members from different political parties, recently met to discuss the metro project dilemma. The project was launched by Prime Minister Narendra Modi in December 2016. “The proposed alignment passes through the regulated area of Pataleshwar Caves and Shaniwar Wada, whereas it falls within the prohibited area of Aga Khan Palace,” said the study note of the select committee. The panel members visited Pune and conducted on-the-spot visit of the infrastructure projects which was stalled because of the provisions of the Ancient Monuments and Archaeological Sites and Remains Act, 1958. The panel even discussed the matter with the other stakeholders to project and the heritage site. The committee was briefed by the member secretary of NMA on the fact that as per the proposed plans of Pune Metro; the rail line will run only at a distance as short as 11 meters from the Aga Khan Palace. This crosses the limits set by the bill. In a discussion that was conducted, the stakeholder put forth their opinions and arguments. The committee then visited the Aga Khan Palace and Pataleshwar Caves to examine the proposed alignments. Various alternative routes were also discussed along with their tentative costs involved. The Managing Director of the Mumbai Metro Rail Corporation Limited presented a PowerPoint presentation giving MMRCL’s insights on the provisions of the bill. According to the study note, committee’s chairman Sahasrabuddhe gave examples of the subway in England which runs under the English Parliament and that of France subways which also run close to the age-old monuments. He emphasized on reexamining the 100 metre and 200 metre restrictions that have been set. “The chairman emphasised that heritage conservation is a science and any implementation should be based on established practices. The people should be sensitized about the need for the conservation of heritage and the protection mechanism requires to be reviewed,” says the note.